Whether you’re a weekend warrior, Moto GP racer or a die-hard collector, our motorcycle product line offers the perfect model for your lifestyle. 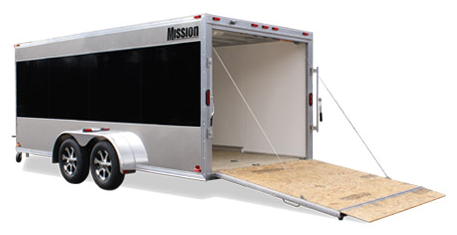 Each trailer we manufacture will provide performance, appearance, and security for your investment. Combining an impressive list of standard features and a number of motorcycle-specific options, the sky's the limit when designing a motorcycle trailer to meet your specific demands. Call a real person to help define exactly what you want.